It’s week 3 of iHomeschool Network’s “Not” Back to School Blog Hop! Last week I showed you our “schoolroom” and the week before I showed you the curriculum we are planning to use this year. 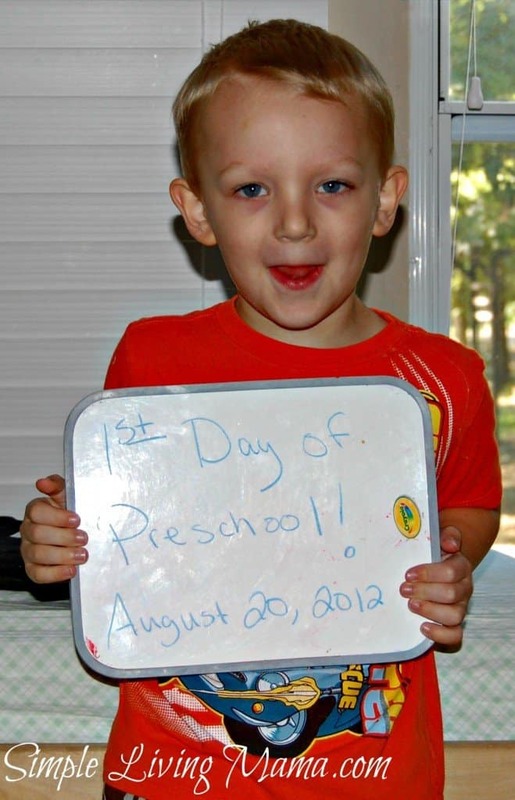 We very tentatively began our homeschool preschool on Monday, August 20th. I tried to take a couple of pictures of the kids that morning! Here’s my silly Bug. He is really my only preschooler at the moment. He loves to cook, play with his cars, build things with his blocks, take things apart like his Daddy’s clock, and his favorite color is currently pink. 😛 I’m excited because he is showing interest in learning to write! Our day was a little rocky. The kids were actually upset because I had to do some cleaning up and our day started off with some whining. We read our Bible story and did the best we could with our calendar and morning boards because I haven’t completely finished them. When Sis hit Bug over the head with one of my necklaces and broke it, we called it a day and went outside to play. We will probably officially get started after Labor Day. 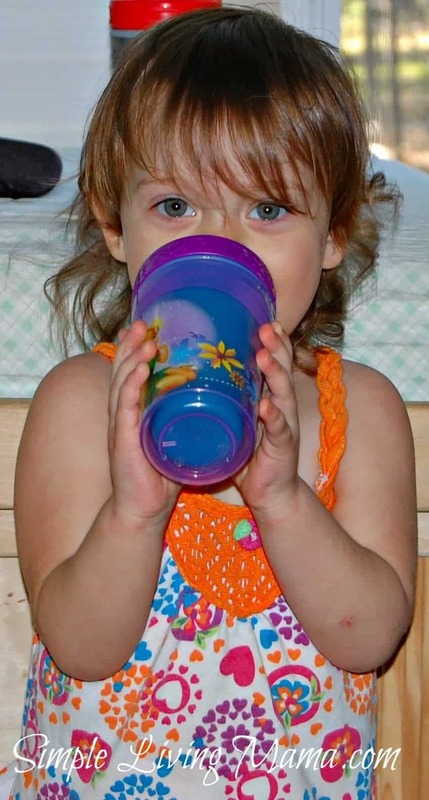 Sis wanted a picture, but she refused to put her cup down. You can still see the mischievousness in her eyes. She is definitely my firecracker. She loves to eat meat, tear apart anything she can get her hands on, and scribble on the walls. While she is pretty rough and tumble, she has a soft side with her baby dolls. She’ll be a good big sister. How was your first day of homeschool?